SHE'S a proud Aboriginal, the rising superstar of tennis, who wakes at all hours of the night on tour to watch her beloved AFL team Richmond play. Ashleigh Barty will be Australia's darling at the Australian Open next week, but at heart she believes she is "a pretty simple chick". "I go out there and do the best I can, try to give it a crack, and try to be the best version of myself I can be," Barty said. Her best friend, former tennis star Casey Dellacqua, recalls Barty frantically trying to get her VPN to work in China as the Tigers won the 2017 premiership flag. "I'll always remember her for her love of Richmond footy club, I'm a Carlton fan, when we're away she'd get up at all hours of the morning to watch her footy club," Dellacqua said. "I'd say 'Do you think you should get a bit more sleep?' but she would always get up. She just has so much passion for things away from tennis. "She's very close with her family. She's got a niece and nephew, and I've got my children as well so we've always had that connection." Barty has stormed into the Sydney International final, defeating world No.1 Simona Halep, No.12 Elise Mertens, and No.9 Kiki Bertens in the past three days. Regardless of Saturday's result in the decider, the world No.15 will arrive in Melbourne with the weight of the nation on her shoulders - and that won't bother her in the slightest, Dellacqua says. "She genuinely wouldn't be fussed, she couldn't care less about expectation, for her it's about the performance she puts in and what she gets out of it," Dellacqua said. "It's a really tough place being a tennis player, and it's a lonely, brutal sport. "Just having a friend, it helped me having Ash at the end of my career, and I've probably helped her starting her career. It's one of those stories where two worlds collide and we've had each other." Barty started playing doubles with Dellacqua when she was just 15, and the pair were runners up at the Australian, Wimbledon and US Opens in 2013, and runners-up at the French Open in 2017. Barty had quit tennis in 2014, and played cricket for the Brisbane Heat's WBBL team in 2015/16, before returning to the court in 2016, sparking a dramatic rise through the rankings over the past 18 months. Barty rekindled her love of sport while playing cricket with the Brisbane Heat in the WBBL. Picture: Colleen Petch. She credits her parents Robert, a Ngarigo indigenous Australian, and Josie, the daughter of English immigrants, for her competitive drive. 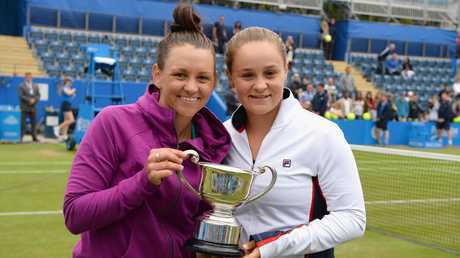 "No doubt it's from my mum and dad, they were both golfers and athletes in their own right," Barty said. "Some kids are born with it and some aren't, but I was extremely competitive from when I was very young. "Being able to implement that into a sport was very natural to me, but I'm competitive in everything I do." Barty cites her settled personal life, including her relationship with golfer Garry Kissick, as the key to her on-court success. "I'm in a very happy place on and off the court, my private life is my private life, I'm certainly having a good time with my friends and loved ones, but I'm in a nice place and it's definitely coincided with why I'm playing such good tennis,' she said. 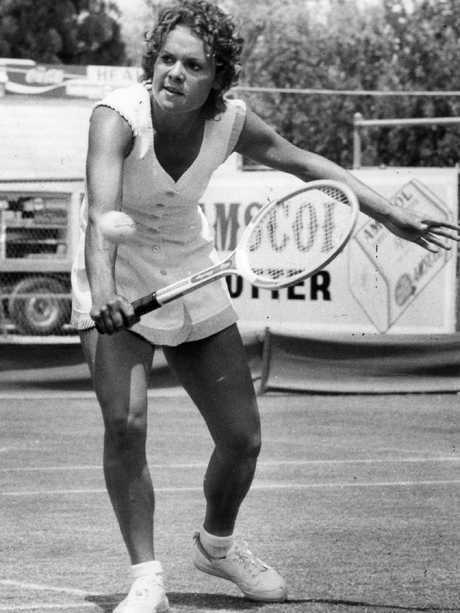 Barty's idol is Evonne Goolagong Cawley, Australia's most famous indigenous tennis icon. 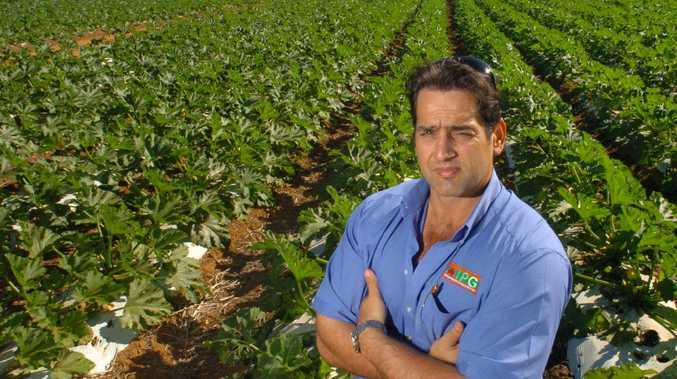 "Evonne has absolutely created he pathway, not just for indigenous boys and girls, but kids across the nation,' Barty said. "She is just such a special person, and I'm incredibly lucky to share heritage with her. That is a very special part of me that I'm extremely proud of, and I know she is as well. "To be able to call her a friend is even better." Dellacqua is proud to refer to Barty in similar terms. "Whatever happens in Ash's tennis career, I'm most proud of how she holds herself off the court," Dellacqua said. "You wouldn't know she's No.15 in the world, she just does her thing, there's just no fuss about her. "She's here to do her job, she does it with great professionalism and integrity, which I've always valued. "She could have good results or bad results for the rest of her career. I've walked away from the sport not having many friends, but Ash is one of them, and it's because of the person she is." Experience the best of international tennis LIVE. SIGN UP NOW!